There’s a lot of mystery and mystique around moonshine, and often the misperception that it’s fire water or on par with turpentine. The truth is that moonshine is more accurately aligned with Grandma’s home baked apple pie than the drink-it-and-you’ll-go-blind image it seems to have gotten over the years. Moonshine is often made from corn, although since it’s historically been an unregulated spirit, it can be made from just about anything. 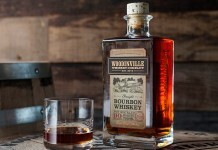 Unlike many un-aged whiskeys on the market (often sold under the moniker of white dog or white whiskey), moonshine isn’t an interim step between distillation and aging. It’s a product that’s designed to be drunk clear, and in the case of Ole Smoky Tennessee Moonshine, it’s designed to be drunk straight out of the jar. Ole Smoky Tennessee Moonshine (100 proof $34.95) has a very light and sweet corn nose without any vapors whatsoever (pretty amazing for a 100 proof spirit). The entry has a little bite and is less sweet than the nose. The corn notes come in pretty solid as we move into the mid palate where the heat increases noticeably. There’s a sugary, rum-like note that steps in towards the end of the mid-palate where things get a little vapory. The finish is pretty quick as the heat begins to fade and things ultimately finish up pretty clean. 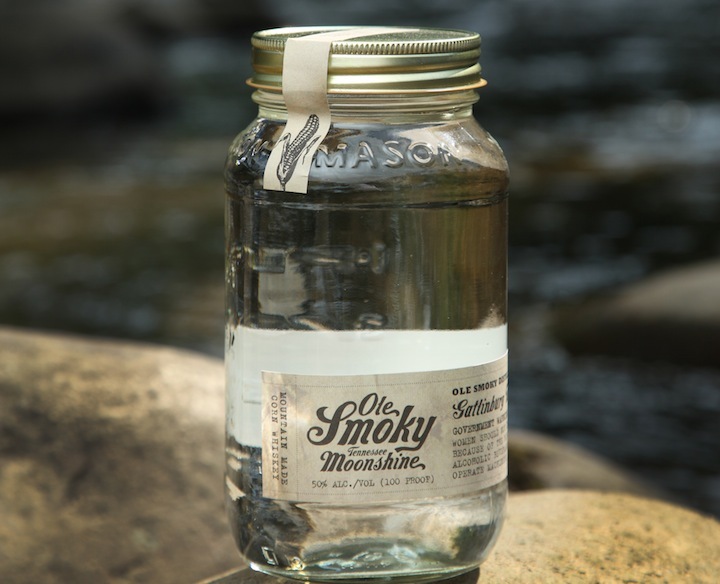 When we first got the jar of Ole Smoky Tennessee Moonshine, we tried pouring it out into glasses, which ended up as a little bit of a disaster as it’s not an easy task to cleanly pour from a mason jar into a glass. We were then told that the moonshine was designed to be, and is traditionally, drunk from the jar itself. Drinking out of a mason jar is actually quite fun, and a nice change. We really like the nose of this moonshine and the taste does a fair job of matching it. We aren’t over the moon with the flavor shift towards the end of the mid-palate, but that didn’t stop us from enjoying this “moonshine experience”. 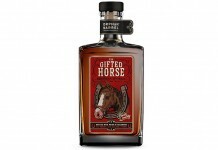 At $34 it does come in a little on the high side of things, a full $12 over Glen Thunder Corn Whiskey which we are huge fans of. Ole Smoky Tennessee Apple Pie Moonshine (40 proof $34.95) – A significant drop in proof from the main moonshine makes the apple pie moonshine extremely easy to drink in fairly large quantities. The nose is distinctively apple and spice, a little like spiced apple cider. If you didn’t know it had alcohol in it, you wouldn’t be able to tell from smelling it. The entry is appley sweet to the start and then it transitions in the mid palate to more spicy with deep cinnamon and allspice flavors. The apple flavors here are much more apple pie than apple cider and it picks up a slight vinegary note at the end of the mid palate. 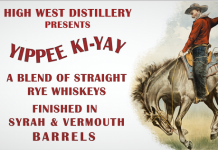 The finish is longer than the original moonshine with apple flavors lingering for quite some time. We like the fact that Ole Smoky Tennessee Apple Pie Moonshine isn’t sticky sweet, and it’s legions beyond the Travis Hasse’s Original Apple Pie Liqueur that’s on the market. As with the traditional Ole Smoky Moonshine, you drink the Apple Pie Moonshine straight from the mason jar. It’s a nice treat and a good way to experience a softer, sweeter, and more fruity introduction to drinking moonshine.